As good as the Star Wars or Batman Lego is, there's something more appealing about building Indiana Jones vs Ruskies with little machine guns out of little Lego pieces. Oh to be 7 again! 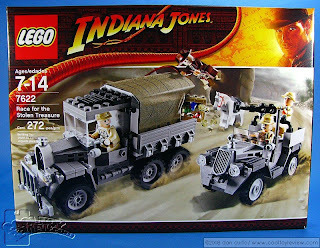 What, We want Lego Indy vs. Nazis! The Soviets are like the Nazis, at least as depicted in this movie.